Smart dieters exercise to lose weight. But sometimes they do too much exercise and they end up overeating as a result. Or they don't work out enough and they don't see any results on the scale. So how much exercise to lose weight is really needed? Researchers and medical experts provide weight loss exercise recommendations per day and per week, not only for slimming down but also to prevent weight regain. A study conducted by the American College of Sports Medicine (ACSM) examined different recommendations for the amount of exercise to lose weight. 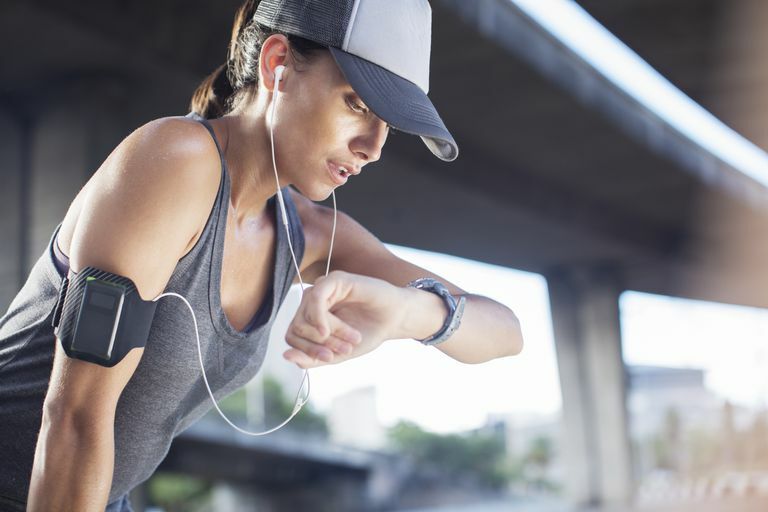 As a result of the research, the organization recommends that you get between 150 and 250 minutes of moderate to vigorous exercise each week to lose weight. But they also state that more is better. To achieve significant weight loss, the organization recommends over 250 minutes per week. About 150 to 250 minutes of moderate-intensity physical activity per week is likely to produce modest weight loss. That's roughly 22 to 35 minutes of exercise per day to lose weight. More than 250 minutes per week of moderate to vigorous activity is associated with more substantial weight loss. That means an average of at least 35 minutes per day. If you choose to modestly (not drastically) cut calories, then about 150 to 250 minutes of moderate-intensity physical activity per week is likely to improve your weight loss results. At least 150 to 250 minutes of moderate-intensity physical activity per week is needed to prevent weight gain. Again, plan for 22 to 35 minutes of exercise per day to maintain your weight. Does that sound like too much exercise per week to lose weight? Don't think you can sustain an exercise session for 22 to 35 minutes? Don't worry. You don't have to do the exercise all at once. And you don't even need to exercise every day. In fact, there are many different ways to change the duration and intensity of your workouts so you don't get bored or burned out. Since 250 minutes per week of exercise is recommended, you might think that you have to work out every day to lose weight. But that's not necessarily true. You can exercise every other day or even every third day and still lose weight effectively. If you prefer shorter workouts, then daily exercise is probably best for you. If you work out for 20-35 minutes every day, you'll meet the expert recommendations for weight loss. Exercising every day will also help you to build a regular and healthy habit for physical activity. But sometimes daily workouts aren't realistic in your schedule. If your work week is hectic, you might choose to work out every other day. But if you exercise fewer days during the week, each workout needs to be longer. For example, if you do one 60-75 minute workout on the weekend and four 35-40 minute during the week, you can skip a few days of exercise and still meet the guidelines for weight loss exercise. If you have to skip several days during the week, you can still exercise to lose weight, but each session will have to be longer to meet your goal. It's also hard to build an exercise habit if you don't exercise very often. Lastly, you can also vary workout intensity to burn enough calories to lose weight. For example, if you are healthy enough for vigorous activity, some workouts can be shorter and harder to burn more calories in less time. While other workouts can be longer but easier. If you're new to exercise, you can do beginner workouts that vary in duration. How Much Exercise Per Day to Lose One Pound? If you're curious about how much exercise it would take to burn one pound of body fat. You can use an online activity calculator to help provide the answer. You need to burn about 3500 calories to lose one pound of weight. These activities would help a 150-pound person burn roughly enough calories to lose a pound. As you can see, trying to lose one pound with exercise alone is difficult and time-consuming. For that reason, most dieters combine diet and exercise to reach the right calorie deficit for weight loss. If trying to reach your exercise goal sounds overwhelming, don't worry. Your workout plan doesn't have to be perfect to be effective. And setting up a workout plan is easier than it sounds. If you’re not sure where to begin, use a basic weekly workout plan to make sure that the time you spend working out is time that really helps you lose weight.